Mike is an Atlanta native born and raised. He graduated from St. Pius before attending Auburn University (War Eagle!) and got a degree in Psychology with a double minor in Social Work and Sociology. He has worked in and around the pet industry for over 15 years now but previously, he helped manage boarding, daycare, and grooming facilities ranging in size from about 105 animals to over 500. For the past 5 years he lived in Brooklyn and was the Assistant General Manager of the busiest Unleashed by Petco in the country. At some point he has had hands-on experience doing almost everything- training, grooming, walking, minor health issues, boarding, nail trims, various medications, dietary issues, etc. He has been American Boarding & Kennel Association level II certified, along with being nutrition certified. Born and raised in Chamblee, Scott Harris is one of our esteemed Master Groomers and brings a wealth of experience. Scott has over 12 years experience working with animals as a Kennel Technician, dog bather, and Groomer. He was mentored and learned much of his technique by working alongside professional groomers who taught grooming at prestigious schools in the Atlanta area. Scott is experienced with different coat types and textures as well as the various techniques needed to address these different coat types. With every animal brings a new experience and challenge and Scott prides himself with his ability to put them at ease by going slowly and reinforcing a positive experience. If conventional grooming doesn’t work for an animal, he changes his strategy and moves in a direction that works best for that specific animal. Scott’s pastime and first job was as a clown and magician, a talent he learned from his father at a young age. He enjoys spending his off-time with his two dogs Mausie, a 10 year old Mini Dachshund, and Oakley, a three year old Lab mix. Born in Atlanta, but raised in Stone Mountain, Erika has worked with animals her entire life starting with volunteering and working in animal shelters. She has had a wonderful kennel technician experience dealing with all sorts of animals. She also loves to groom animals that require special care and has a knack for creating bows and ties for our sweet babies. And while she grooms all breeds of dogs, she has to say ‘Doodles’ are her favorite! Her passion for helping animals has driven her to help them and be their ambassador to ensure that at the end of the day, they are the ones that are the happiest! My name is Kaitlin Graves, and I am a professional dog groomer. I’ve been working with animals for four years, and I love it! I have a wide variety of skills, ranging from a simple bath and brush out to the most interesting cuts you can imagine. I have the ability to groom all breeds of dogs but I enjoy working on poodles the most. I know how to soothe anxious dogs so that they feel comfortable in our shop, therefore, you can be rest assured that your dog is in good hands when they’re brought to The Pet Resorts! My name is Jennifer Duong and I was born and raised in Atlanta, GA. I’ve always had a passion for animals at a young age and knew that I had to work with them. Over the years I’ve worked as kennel technicians and volunteered at shelters, so I can get as much experience I can to start my career. I am currently majoring in biology at Georgia State, moving onto veterinary medicine so I can become a vet. I can’t wait to open up my own practice. On my spare time, I enjoy spending time with my two rescue dogs, a Yorkshire Terrier named Lucky and a Pomchi named Jojo. After a successful career in sales and management with companies such as Hewlett-Packard and Eclipsys, as well as business development experience in health care information technology start-ups, Malcolm decided it was time to stop being a road warrior and spend more time with his family. 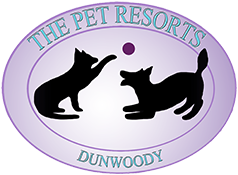 He worked with his sister to open Atlanta Dog Trainer Pet Resort a few years back and saw an opportunity to do the same in the Dunwoody area. He has always had a love of animals, especially dogs, having had at least one most of his life. His family is the proud owner of a wild and crazy Morki, a spoiled rotten Coton, a skittish Havanese rescue, and a couple of adopted frogs left with us to care for when our oldest daughter went off to college. As with any business, the hours are long and there are plenty of challenges to go around, but the rewards are great just in seeing the smile on our customers’ faces when they arrive to pick up their cherished pet, knowing it received loving care by our professionals!